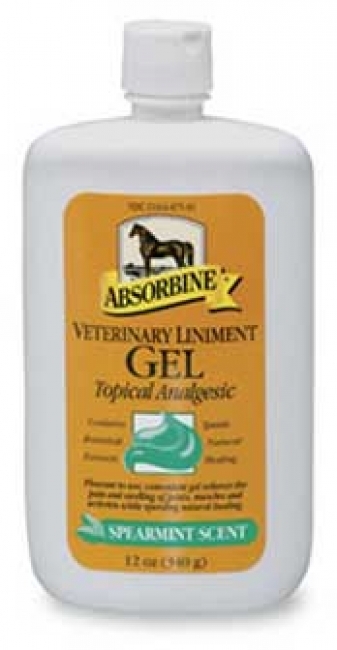 Absorbine Veterinary Liniment Gel is a warm soothing treatment for temporary muscular soreness cause by overexertion, minor injuries and/or arthritis. 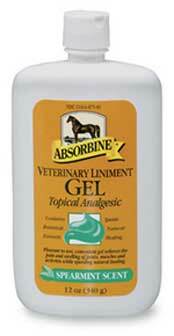 The convenient to use gel formula relieves the pain and swelling while speeding natural healing. The concentrated speariment gel not only helps relax your horse, but smells good too!